As usual, no spoilers here on the blog, but if you follow the links, be prepared for a wondrous realm of discovery. There’s been a lot about The Force Awakens this week, and with the release this weekend of Mission Impossible: Rogue Nation, we may finally start to get more substantial news about Star Wars: Rogue One very soon! 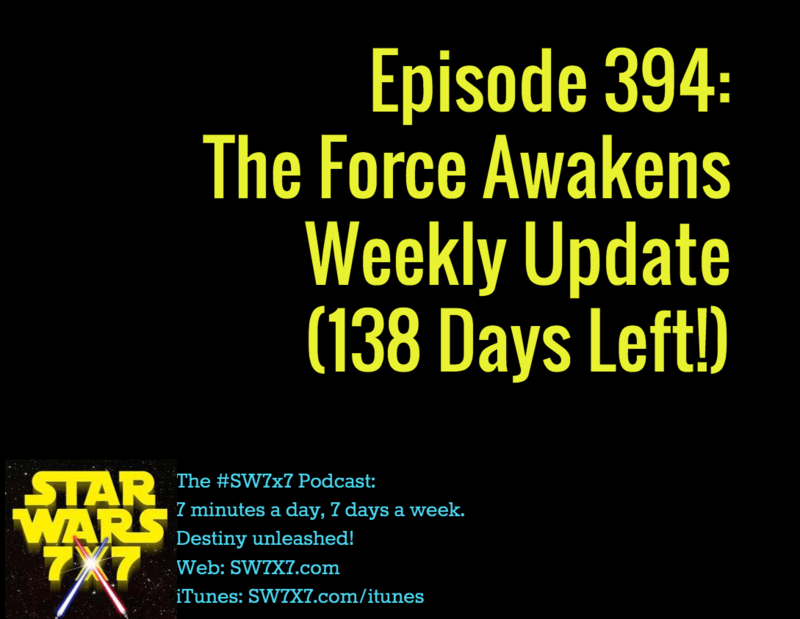 Previous Post: Episode 393: Trivia, Plus How Force-Strong Is Luke?